The first annual Tribeca Film Festival was launched in 2002 by Jane Rosenthal and Robert De Niro. The Tribeca Film Festival was founded to celebrate New York City as a major film making center and to contribute to the long-term recovery of lower Manhattan. 2016 marks the fifteenth year of the Tribeca Film Festival, which has grown each year. There are many world premieres and lots of stars in Tribeca. For the best access and availability, consider purchasing one of the​ Tribeca Film Festival Passes or Ticket Packages. They go on sale before individual tickets become available and offer purchasers advance access to their choice of screenings. 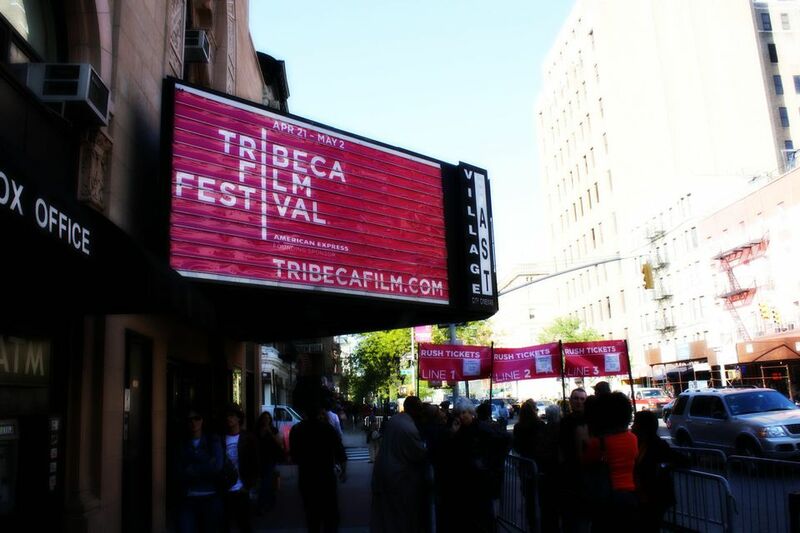 If you've never been to the Tribeca Film Festival before (or even if you have) you'll appreciate our Tribeca Film Festival Tips where we share information on how to spot celebrities at the festival, tricks for getting good seats, and more. Festival guides are available throughout the city, as well as in popular NYC publications. A diner with a good chance of a star-sighting. Robert DeNiro's restaurant offers Mediterranean fare. Tickets are available for purchase at the Festival Box Office, online and by phone. Ticket packages are available ​online ​and by phone 646-502-5296 or 866-941-FEST. Avoid processing fees, lines at will-call and qualify for discounts by purchasing your tickets in person at the TFF box office. Tuesday, March 29 & Monday, April 4: 11 a.m. – 6 p.m.
Daily: Tuesday, March 29 - Tuesday, April 12: 11 a.m. - 6 p.m.
Tickets purchased online have an additional $3.50 service charge per ticket. Tickets purchased by phone have an additional $3.50 service charge per ticket, as well as a $5 per order service charge.